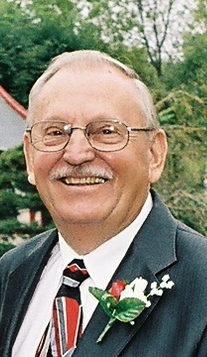 Clifton Edward Olson, age 82, died Saturday, March 23, 2019, at the Meadow Woods Nursing Home in Bloomington, Minnesota. He leaves his wife of 58 years, Barbara Olson; his daughter, Debra Williamson and her husband, Scott Williamson; his two granddaughters: Cassandra Gaspar and Samantha Gaspar; his daughter, Pamela Kottke and her husband, Michael Kottke; and sister, Rosalyn Hessler. In his early years, Cliff would help on the family farm. After graduating from Clinton High School in 1954, he worked at Ford Motor Company in St. Paul, Minnesota, for a short time. He later became a farmer himself until retiring in 1993. After retirement, Cliff and Barb spent 14 winters in Arizona. He was also an avid golfer and was a longtime member of the Graceville Golf Club. Cliff and Barb moved to Bloomington, Minnesota, to be closer to their daughters in 2015. A ‘Celebration of Life’ gathering will be held at the Graceville Golf Course Club House on Saturday, May 4, 2019, from 1:00-3:00pm.